Beatrix Potter, literary mother of such whimsical creatures as Peter Rabbit, Jemima Puddleduck and Miss Tiggywinkle is more often associated with the rolling hills of the Lake District than the smoky passages of London, but as she was born in Kensington, we're claiming her as one of our own. Take a look at the London locations that inspired her. Potter was born at 2 Bolton Gardens in Kensington on 28 July 1866, and she and her brother grew up in London. Beatrix lived in the house until her marriage in 1913. The Potter family sold the house in 1924, and it was later destroyed in the Blitz. Bousfield Primary School now stands where the house once was. In 1988, The Beatrix Potter Society teamed up with The Boltons Association and Frederick Warne & Co publishers to erect a blue plaque on the school building. This Bedford Street-based publishing firm was among six that turned down the chance to publish Potter's books the first time round. However, Potter had her story of a rabbit called Peter printed privately in 1901, and when the company saw it, they changed their minds and went on to publish The Tale Of Peter Rabbit and 23 other books by Potter. Potter's editor was Norman Warne, son of the company's founder, and the pair got engaged in 1905, but Warne died before they could get married. In 2012, there was an attempt to put up a plaque at his Bedford Square home in Bloomsbury but it was rejected. 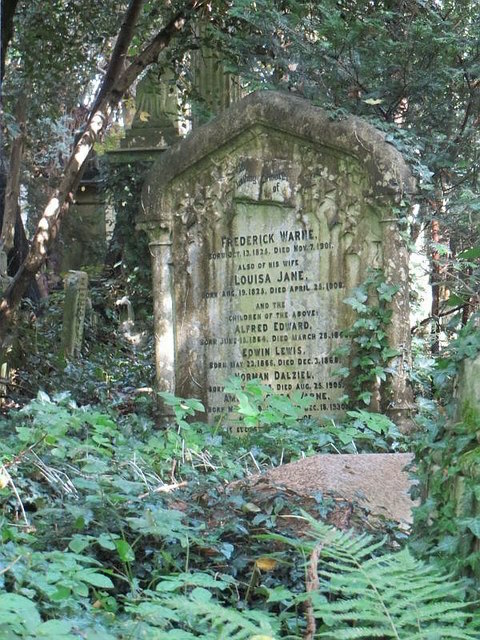 Warne is buried in Highgate Cemetery. Ewan McGregor played Norman Warne in the 2006 film Miss Potter. The company received the copyright to Potter's stories and illustrations when she died, and it's now part of the Penguin publishing group. Norman Warne's grave in Highgate Cemetery. Photo: Bill Nicholls under Creative Commons Licence. Rumours have always been rife as to where Potter got the names of her characters. While it's impossible to say for sure, the discoveries of the names Nutkins, McGregor, Peter Rabbett and Jeremiah Fisher on gravestones and in burial records in Brompton Cemetery in 2001 point quite strongly to this west London graveyard being a strong influence. Although Beatrix Potter's father was a barrister, the family were wealthy enough that he rarely worked. He regularly took Beatrix on trips to London's museums, including the Natural History Museum, where she spent time sketching animals, and the South Kensington Museum (now the V&A). Today the V&A claims to house the largest collection of Potter's letters, illustrations and photos anywhere in the world, which are on display on rotation. The collection includes the original illustrations for The Tale of Peter Rabbit, and dummy manuscripts. More information about the V&A's Potter collection here. Being from a wealthy family, Potter didn't receive a formal education — she was taught at home by a governess. However, in November 1878 her parents arranged drawing lessons and enrolled her at the National Art Training School in South Kensington (now the Royal College of Art). Potter's uncle was Sir Henry Enfield Roscoe, a chemist and vice-chancellor of the University of London. 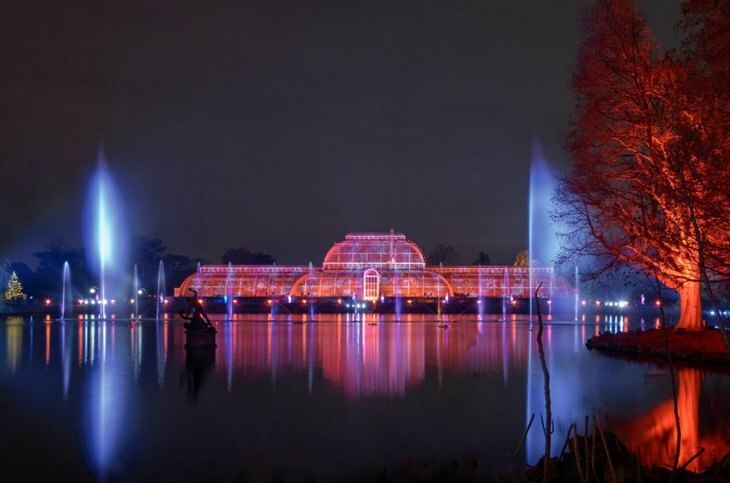 Aware of her growing interest in all thing botanical, he introduced Beatrix to botanists at Kew Gardens. Through her research at Kew, she wrote a scientific paper, On the Germination of the Spores of the Agaricineae, and submitted it to the Linnean Society, a natural history society based at Burlington House, in 1897. However, being a woman, she wasn't allowed to be present at the reading of her own paper. It wasn't published (also due to her gender) although scientists today have confirmed her theories as being correct. According to Kew archives, "her theories were later credited to a male German scientist". And those who are particular fans of Beatrix Potter's furry creatures may NOT want to see this sign, spotted in London in 2008.